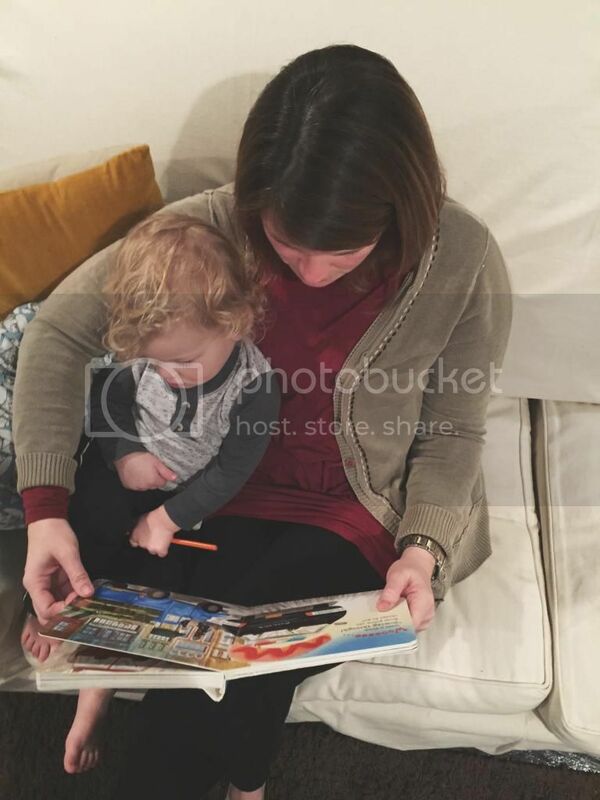 One of my most favorite parts of the day is our bedtime routine because I LOVE getting to snuggle up and read with my kiddos...I feel like both of my kids have just always loved books. One of the first things Michael said when he found out I was pregnant with Anne was "we don't have enough books!" So, obviously it is super important to us to surround our kids with great books. Anne is such an independent reader now, but she definitely is not too big to crawl up and read a book with us! She even likes to read to Liam a lot of the time. He is loving the Little Blue Truck books right now. I know we've read the two we have about a gajillion times! We also read lots of nursery rhymes--today he loved Humpty Dumpty. He thought it was so funny when we'd say it over and over. What are some of your favorite children's books?